It seems this was written by Jean Ritchie, who grew up in the Cumberland Mountains, the south-eastern range of the Appalachians. The youngest of 14 children born in 1922, she grew up learning the family repertoire of songs. Alan Lomax recorded The Singing Ritchies in the 30s, but Jean went on to college and teaching rather than a musical career. It wasn’t until the late 40s, having moved to New York and met the likes of Pete Seeger and Leadbelly that her singing career started to take shape. Ultimately she became known as the Mother Of Folk and you can read her story on this Wiki page. It’s worth a few minutes not least because of her studies of the links between American ballads and those of the British Isles. Peter Bellamy was obviously a big fan of Ritchie, as his notes on his Second Wind version of this song make clear and you can read them courtesy of Mainly Norfolk. This entry was posted on Sunday, January 18th, 2015 at 12:00 am and is filed under News. You can follow any responses to this entry through the RSS 2.0 feed. You can leave a response, or trackback from your own site. Well…that gave the old vocals a good work out! Good song. I note that “Mainly Norfolk” says song collected 1917 & Jean not born until 1922..just being picky again. According to Mudcat Jean Ritchie copyrighted her version of “Maria’s Gone” in 1969. It’s not the first time in history that someone claimed a traditional song for her/himself. But maybe the copyright is just for her arrangement of this song? Anyway, it’s a fine song and a fine performance of Jon’s. Somehow the verse structure reminds me of “What shall We Do With a Drunken Sailor”. Hmmm! I had wondered about the authorship hence starting with “It seems… Perhaps it was a family song or learned through the family. I guess if the rights were only assigned in 69 it’s a safe bet that no one was aware of it or able to contest it. It may also be a lyrical twist as this has the feel of a spiritual and mourners lament to me. Yet the words seem to take another direction in the second verse with “Never did I know her mind”, as if Maria has made a decision to leave. The rest seems entirely ambiguous to me. Lovely stuff – a great song and a terrific performance. Incidentally, I hear that verse as “never did I know her mine”, which perhaps fits better. I wouldn’t pay too much attention to who copyrighted what – as Reinhard says, lots of traditional songs have been through the process for various reasons. I doubt very much that Jean Ritchie (who is still with us, although she’s been ill) would claim to have written this. I’ve not heard Peter Bellamy’s version of this but if this version doesn’t ‘get anywhere near his performance level’ then it must be absolutely astonishing – I think this is wonderful singing. Thanks Phil, ‘mine’ would make more sense of it. As for the copyright it doesn’t bother me other than in the sense of trying to tell the story of the song. As the Ritchies were singers, recorded as early as the 30s, you can bet they were carrying a tradition with them from a generation or two before that to get to that standard. As elsewhere they probably left their own mark on the family repertoire. Lovely! The best this month in my opinion. Great to hear a new version of one of Peter Bellamy’s long since unavailable tracks from “Second Wind”. Bellamy also cites and thanks Jean Ritchie in connection with “Fair and Tender Ladies” on the same album. Excellent website. Many thanks. Just popped in to remember good old Rudyard Kipling. 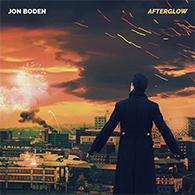 Liked this one also – but yet another sad song but Jon did his usual great delivery of same. @Muzza: I like Rudyard Kipling’s work and a lot of his marvellous sayings remain. Especially fond of “The female of the species is deadlier than the male”. Not sure if it is genuinely true but wouldn’t be surprised if it was. I had forgotten that this *stunning* song out of Jean Richie followed yesterday’s 500 Miles, so my link to her singing ‘Hangman’ was fortuitously & particularly appropriate, esp as Skyman says above, “not least because of her studies of the links between American ballads and those of the British Isles.” I do believe I am finally getting on the folk wavelength! To sing it out as Jon has done here shows me what really makes the difference between good and great. This is one of your 5-star performances, Jon, and I love it! @ Daina: Yes, got your FB message – it was the red hat gave me away! Kipling was right about the female of the species being deadlier than the male, ‘cos they have to carry and guard the babbies & fodder the clan! That saying ranks up there with another favourite of mine by Bulwer-Lytton, ‘The pen is mightier than the sword,’ which reads quite differently if one elides the 2nd and 3rd words in the quotation. Thereby perhaps challenging Kipling’s female of the species being deadlier than the male. Hahahahaha! But I still like his line ‘It was a dark and stormy night…’ the best. Oh, no-one will be able to access the Wiki link about jean Richie or owt else today as they are having a 24-hour blackout of the site in England, to protest against two bills in the United States House of Representatives and the United States Senate respectively, i.e. SOPA (Stop Online Piracy Act) and PIPA (Protect IP Act. IP standing for ‘intellectual property.’) In short, these bills are efforts to stop copyright infringement committed by foreign web sites, but Wiki thinks they do so in a way that infringes free expression whilst harming the Internet. @Tedd: another mesage on FB for you – I don’t seem to be able to verify if I have sent it – containing a little more information. Now this song did nothing for me; it is just a matter of taste is’nt it. Having said that, my taste may be slightly impaired by having a head like a suet pudding after last nights wassailing, and follow up singing session in the pub. I shall give it another try tomorrow. @Tedd: Another message for you on FB – do read please. @ Daina: I’m reading ’em! Yes, you’ve sent them, ‘cos I keep replying! Hahahahaha! Jon’s performance is excellent here and the song is one of my favourites from the January selection! Nice to see people are still chipping in with comments this third time around; I’ve had little time to post, but have been giving all the songs another listen of course. Well, sthg won’t let me submit comments… some sort of gremlin with a grudge against Teds! Lol. It appears AFSAD does not like the email address I have always used, so I’ve had to switch to another! Now, will I be able to restore the Big Red ‘at?! @Jane…………how long must I wait for the ears’ photo.or is it going to appear on FB? @ Muzza: And why are you 444 days? Have I missed summat, or is that your shelf-life? Lol. Keep going! Now, I do not think I ever promised ears as such… Indeed, I have just scoured my photo files and have no pic of me wearing said ears, tho’ I do have them variously on my drinking companion, Michael. Pity, ‘cos I would have made the more fetching bunny! The hat was really his and the ears mine, but I made him swap on account of the weather being ‘nithering,’ as we say in Yorkshire, which means wot it’s like now with the snow and ice. Wondered myself why the days are adding up. Nice to see the gangs all here for a rather rare outing. Ref the ears……DRat….I misunderstood your comment from the 16th (see below)…no ears then! Muzza, I think you should stop counting, anything other than your blessings anyway. But I think I shall go away and fill in the same questionnaire to work out if I can afford a new car. The lengths we have to go to, to justify expenditure in pensionerdom! And I have ears…. They are even on the side of my head… Not both on the same side, you understand… Hahahahahahaha! @ Muzza: And take away the ‘old’ description, despite upcoming umpteenth birthday on 22nd! Oooooer…………..my last comment awaiting moderation !!! 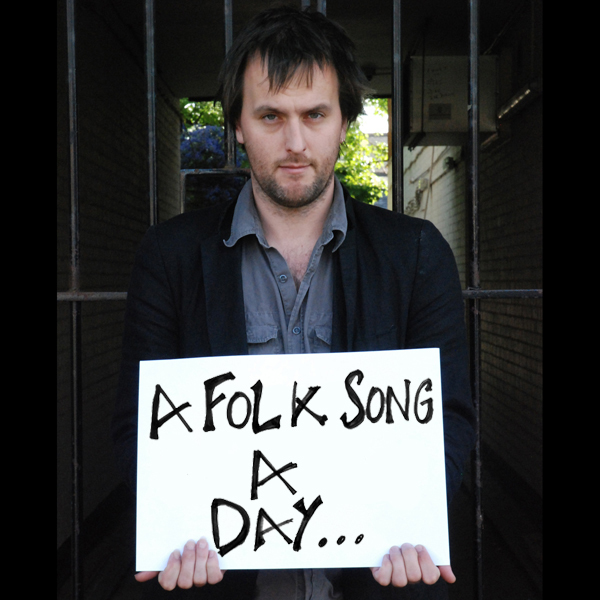 !……..second part of the ‘Mastertape /Bellowhead interview is Tomorrow 19th at 3:30pm Radio 4. 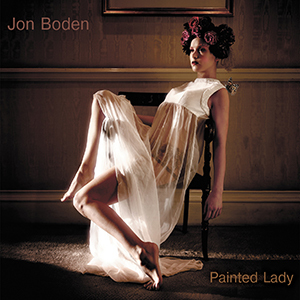 The Jon Bowden version of this amazing song “mariah’s Gone” is very good but the recently released Melrose Quartet version is amazing.